Customized for X-treme functionality, X-treme range of motion & X-treme comfort. Walter Medical is proud to introduce the most technologically advanced spinal support system. Our spinal support systems are the first and only products to use React Technology, reacting and conforming to the patient while in motion, working with the body, not against it. All of our products are FDA registered and patented. 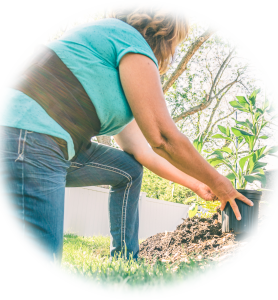 Patented technology that you won’t find in any other back brace, that’s what. 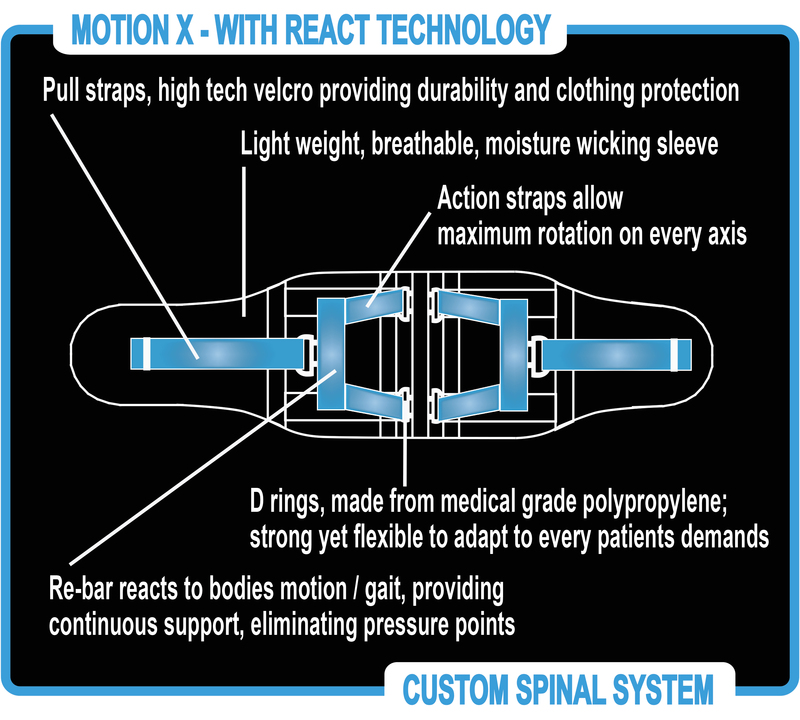 REACT Technology allows specific movements without compromising the spinal support you need to relieve pain and heal. We don’t even consider Motion X a back brace. We consider it to be the anti-brace. Remember, traditional back braces restrict motion and cause muscle atrophy. Motion X allows range of motion on two planes while still providing the spinal support and back pain relief you crave. 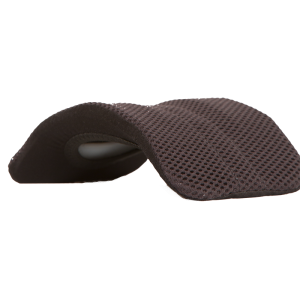 This patented technology is the first of its kind, allowing the back support to respond to natural body motion. It shifts on two independent planes which allows your body to bend and rotate normally. It works during any action like picking something up, swinging a golf club and simply walking. It also works during reaction like when hitting a pothole while driving or any unexpected shift in body weight.